Hi! We are Sid and Nancy! We are brother and sister who have really good genes and are very healthy according to our vet. We are pretty independent and usually like to play with each other. But we’d definitely take being loved and pet by you over each other any day J We know where our litter box is and don’t need special care besides love and attention. 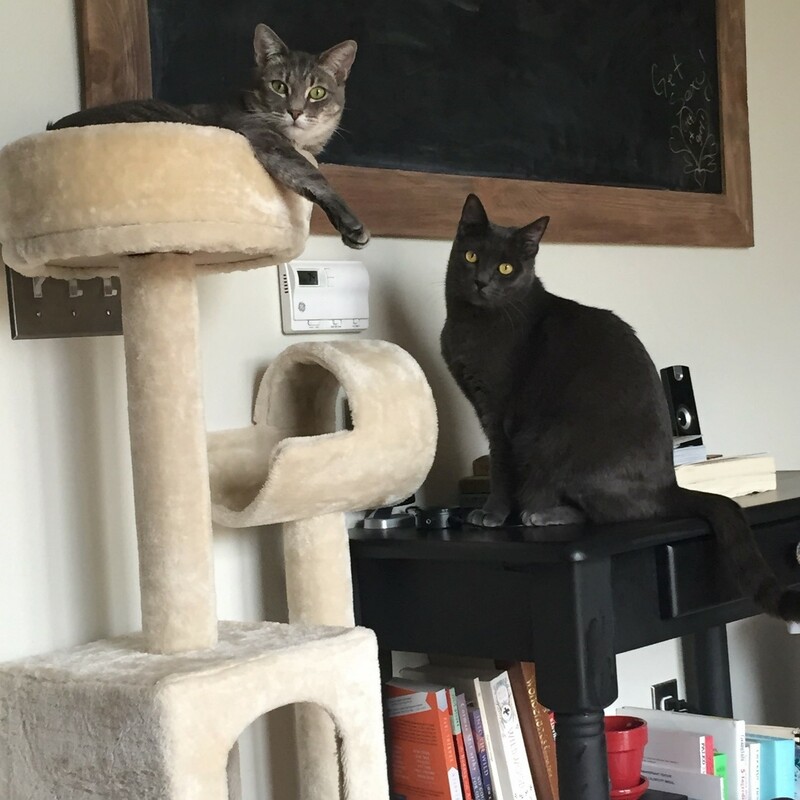 We like to climb on our cat tree and only scratch on our post. We like dry food with water over the top to make sure we drink enough H2O. We both love our bellies and butts scratched! We don’t shed too much either J Nancy is a manx and Sid is an American medium hair. We are pretty lazy when you aren’t around but will come out to play with laser pointers or toys when you are there J We have both been fixed and microchipped and vaccinated and want to have a loving forever home. If interested, please contact Claire at clairecannetti21@gmail.com.